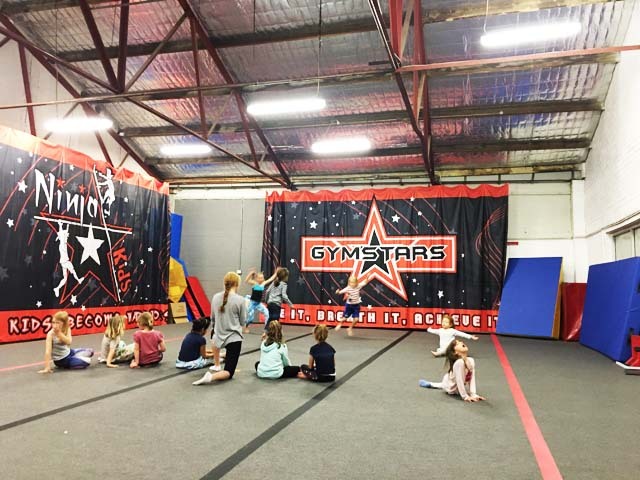 Earlier this year, little Miss was invited to a friend’s birthday party, but not just any party - a Gymstars Cheerleaders Birthday Party brought to you by the same people who run Ninja Kids in Brookvale. The Gymstars Party Team are a group of professional, American style, competitive cheerleaders who will teach some dance and cheer routines and show some fun stunts and tumbling to party guests! All routines are age appropriate, fun and easy for guests to perform. The Gymstars Party Team also did a few fun games like dance statues and guests when we attended and were treated to a cute glitter tattoo on arrival too. 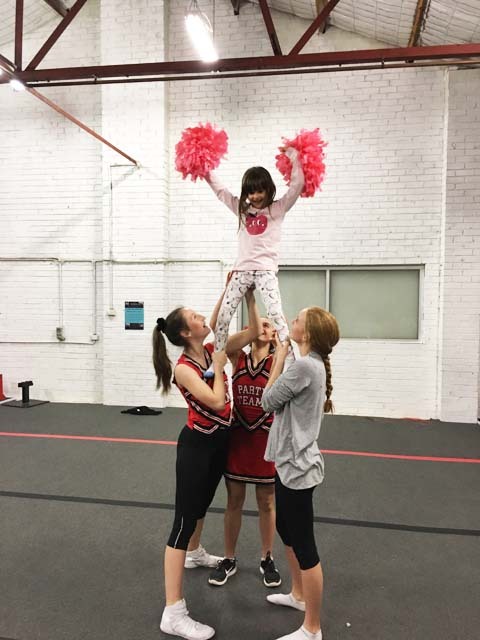 Little Miss loved the pom poms and getting lifted by the cheerleaders and also loved how her little group were shown a specific routine which they then completed all by themselves. Gymstars Cheerleaders Birthday Party are a cute idea for a birthday party. Guests are given time between routines and play to have a break and enjoy birthday treats and the birthday cake. Parents and carers of the birthday guest can BYO their food and drinks for the party. Busy City Kids were NOT invited to conduct a review at Gymstars however we thought we would share our experience at this birthday party venue to provide ideas for parents for their child's birthday. For more information on Gymstars, head to their website.